Mindfulness for Coaches | Mindfulness for Coaches, lays out a set of systematic methods that help you to cultivate and embody a way of being which supports growth and transformation - both in yourself and others. Our book, Mindfulness for Coaches, lays out a set of systematic methods that help you to cultivate and embody a way of being which supports growth and transformation – both in yourself and others. 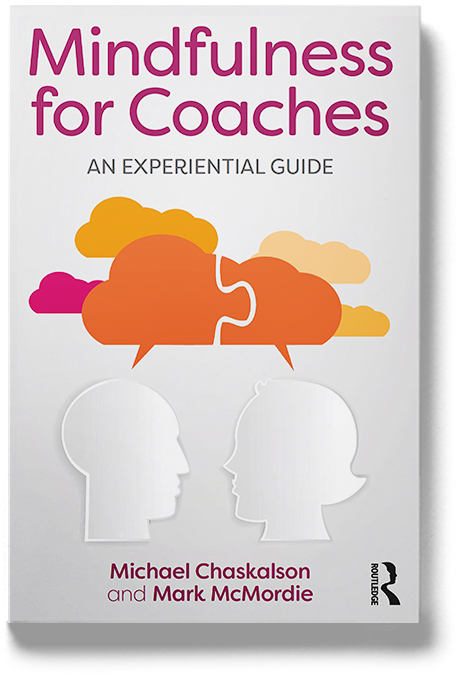 It is the first book of its kind to be an experiential guide – inviting and supporting you to engage with the eight-week programme: Mindfulness for Coaches. Our book describes new qualitative research into the potential impact of mindfulness on coaching process and outcomes and is the first book of its kind to explicitly link mindfulness practice to global standards of coaching mastery. Research from the field of psychotherapy shows that rather than the therapist’s preferred methodology, the biggest variance in client outcomes results from their way of being with clients. Mindfulness training offers the possibility of greater transformational coaching as a result of how coaches are, first of all with themselves, and then in turn with others. This calls for a regular discipline of personal practice. Just as going to the gym regularly makes you fitter, so regular mindfulness practice brings out changes in your level of overall mindfulness. Mindfulness for Coaches shares theory and research on the benefits of mindfulness training and explores how mindfulness might feature in coaching work. But this book is not about coaching ‘tools and techniques’. It’s about how you can more deeply attune to yourself and so to your clients, and how you can create transformational resonance. Outlines the eight-week programme, Mindfulness for Coaches. Clarifies links between mindfulness, coaching mastery and different coaching approaches; shares developments from the fields of psychotherapy, leadership and organization development; and provides guidance for further development.